Fechner Day is an annual informal observance celebrated by psychophysicists across the world. It is dedicated to the German philosopher, physicist, and psychologist Gustav Fechner who is credited with founding psychophysics, the study of the relation between physical stimuli and sensations. 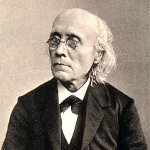 Gustav Fechner was born in 1801. He studied physiology in Dresden and Leipzig. Fechner also expressed interest in mathematics and physics. He was appointed professor of physics in 1834, but had to resign a year later due to an eye disorder he contracted during one of his experiments. It was his injury hat prompted him to study the mind and its relation with the body. It is claimed that Fechner founded psychophysics on October 22, 1850. He awoke with a sudden insight into how to study the mind through the relation between stimuli and the perceptions and sensations they affect. Using the findings of Ernst Heinrich Weber, he developed a psychophysical scale named after himself. Psychophysicists mark the anniversary of Fechner's discovery as Fechner Day. It should not be confused with the annual meeting of the International Society for Psychophysics, which is also known as Fechner Day, but is typically held in August.